Through the eyes of a toad! 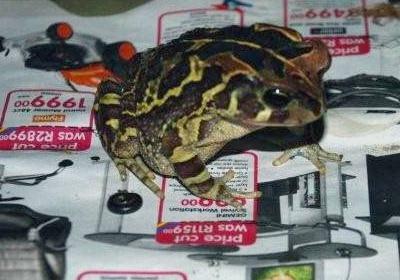 Imagine you are a western leopard toad living in your snug little home under a pot plant for 11 months of the year, happily snacking on organic, ‘pesticide free’ cockroaches and crickets in your vegetable patch at night while your human sleeps. It’s the end of July, it’s raining and the moon is getting fuller with every passing night. Your belly is laden with 1000 eggs waiting for a chance at life. Every inch of your body tells you that you need to leave, you start walking; you remember that it was dangerous last time but you have to go. You walk through the hole in the wall that your human has kindly installed. Your memory of completing this hike when you were just a little 1cm toadlet reminds you of the way to go. It’s a 2 kilometre hike, which is a lot of steps if you are only 12cm tall. You move quickly and try to make it in one night. As you start walking down the road, you feel the ground beneath you start to shake; the rumble of a huge monster is coming towards you. You do what your ancestors have done for millions of years and freeze in the hope that this predator won’t see you as you camouflage into the road beneath you. It powers over you and on down the road just nicking your foot, it’s painful but you are still alive. You carry on walking; you feel the shake of another monster. It stops just before you, the lights are blinding and you keep still, trying not to tremble with fear. Soft hands embrace you and carry you to the safety of the pavement next to the road. This human thankfully doesn’t take you far away otherwise you would have no clue where you were or how to get back home. 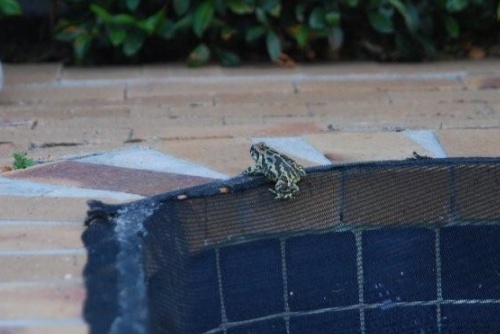 You walk down the pavement into a garden, into a great pool of water, it doesn’t feel right, there is a powerful smell and the water that you are drinking through your skin tastes bad, but this pool has a way to get out, a Toadsaver made especially for you to stay alive! You climb out, hop across the road, just missing another giant monster who thunders past like nothing your body can relate to in the millions of years that your ancestors have been around. You hear the calling of your friends and family getting nearer, drawing you closer and closer. It’s still raining, the flow of the raindrops help you to find your way to the ponds. You know where you need to go. You feel pressured to carry on walking as the raindrops start drying up. You feel vulnerable with every passing minute away from the comfort of your home or the pond which you spent 3 months of your tadpole to toadlet life. Almost there, your foot is throbbing, but the calling of your community is stronger and overrides all of your senses. As you cross your last obstacle. just a few hops away from the safety of the breeding pond, the monster gets you! Gentle hands reach out to save you but it’s too late, your 1000 eggs surround your body. This highway wasn’t a good idea after all. Every year we as toad volunteers witness hundreds of toad living this true story with our very own eyes. Please show them a little consideration when you drive every night from July to September 2011. You can change the ending to this story! Don’t forget to cover the weir! 2. Over a period of two years; hundreds of toadlets constantly got stuck in one courtyard destined to dry up in the sun or starve to death. 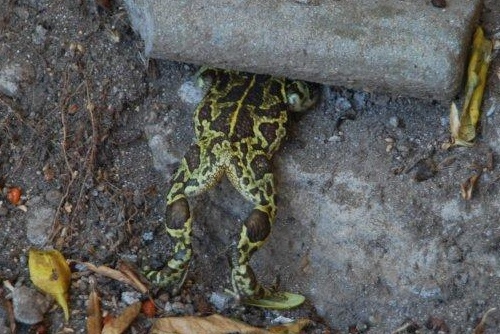 A simple exit point now can save thousands of toads! Make sure that your walls have an exit point! 3. 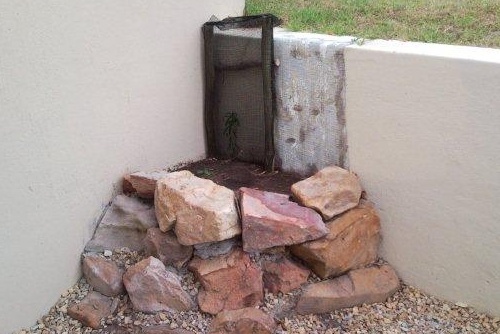 A hole in the wall is a wonderful solution to prevent trapped animals! 4. Start a vegetable patch to create food for your toad as well as a compost heap. 5. 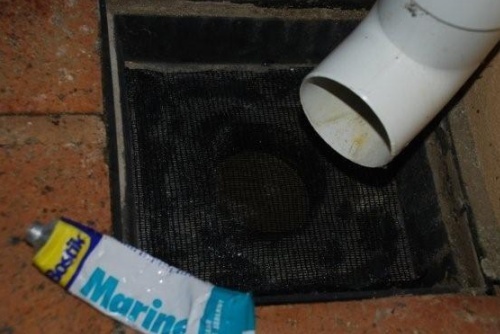 Cover your drains with mesh and glue. 6. Create a toad home (dig a hole, place some wood in the hole, cover it with mulch and you have created plenty of nooks and crannies for your toad to find a home!) or provide any hard surface for them to squeeze under! 7. 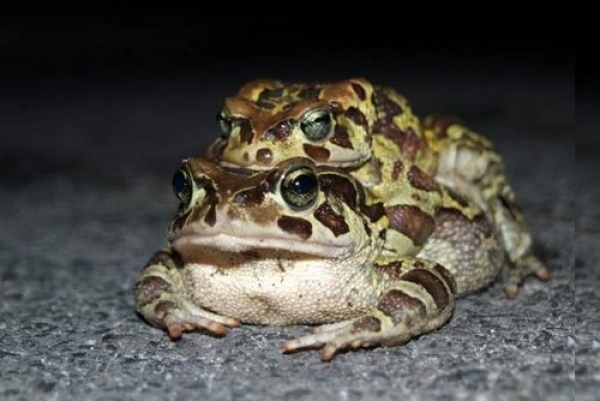 Drive slowly at night in toad hotspot areas from July to September! 8. 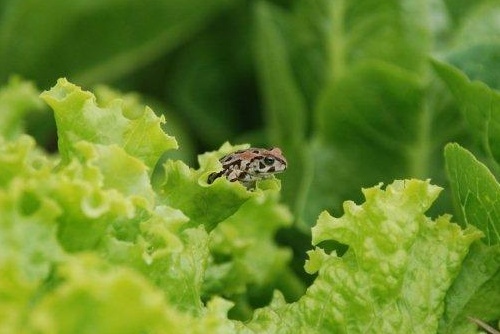 Don’ use pesticides, toads do it for free!! 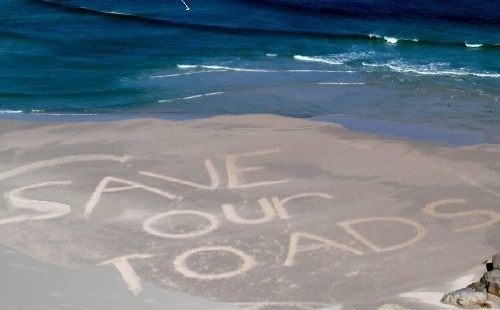 Join www.toadnuts.co.za to find your local volunteer group around Cape Town to help during the 2011 breeding migration. 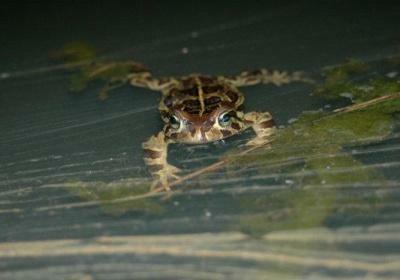 Follow www.leopardtoad.co.za for up-to-date toad season stats, and listen out for toad traffic reports on the radio.